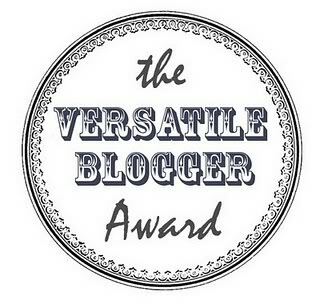 It was such an honor to learn that Sadie from SadiesNest.com had nominated me for the Versatile Blogger Award! Thank you so much, Sadie! I truly can’t say enough about Sadie and her lovely blog! You will be warmly welcomed with her genuine hospitality and find a wonderful variety of delicious recipes, traveling adventures and her love for God, family and friends! 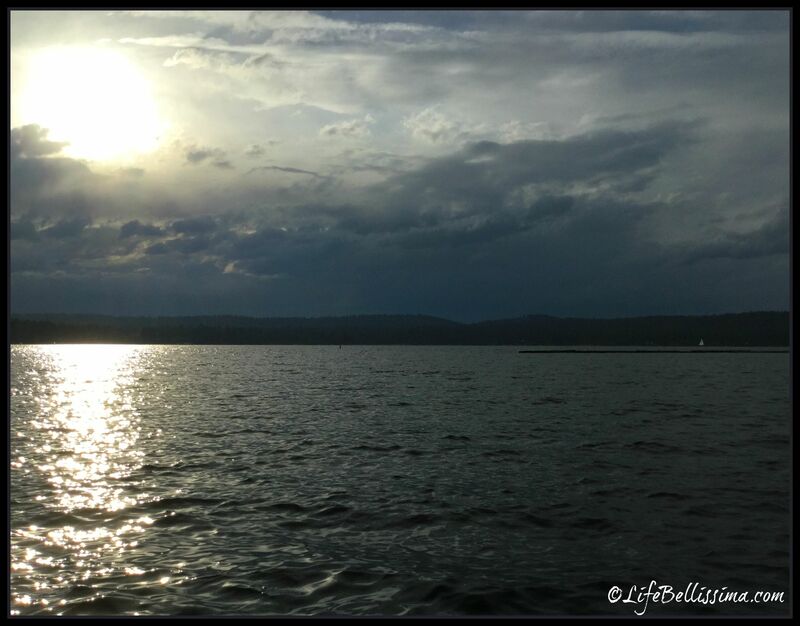 You will love Sadie’s beautiful blog – be sure to visit her soon! 5. Link your nominees and let them know of your nomination. I am so thankful for God’s many blessings, and I pray I will be a blessing to others. I love spending time with Jesus, my family and my friends! I would love to write children’s books someday. Chocolate desserts are my very favorite! 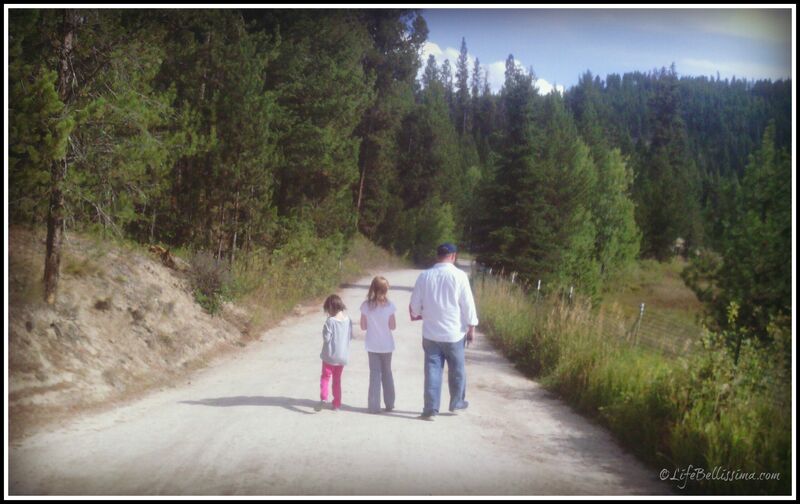 I would love to travel with my family more! I love learning about other countries and meeting new friends! I would love to swim with dolphins! 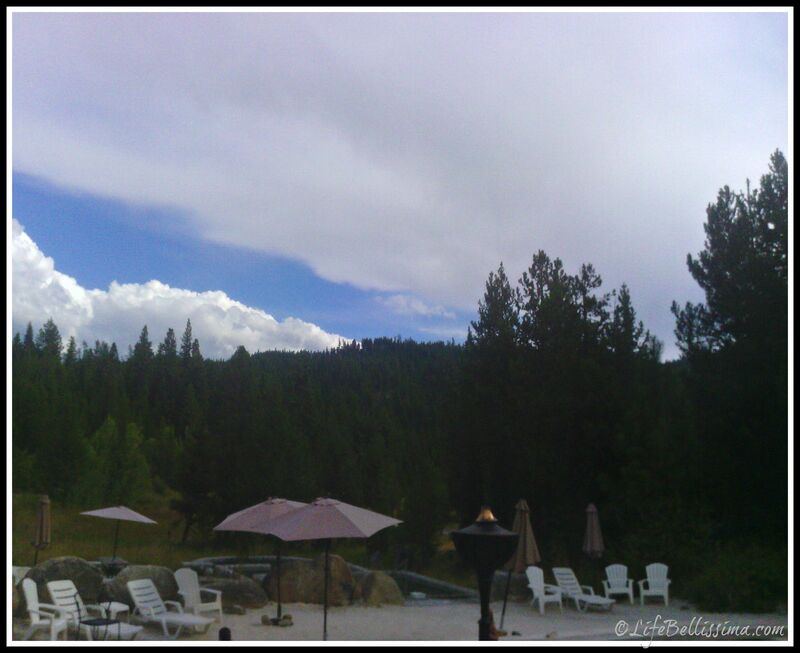 I love going to the beach and to the mountains — they are so different, but equally relaxing and beautiful! 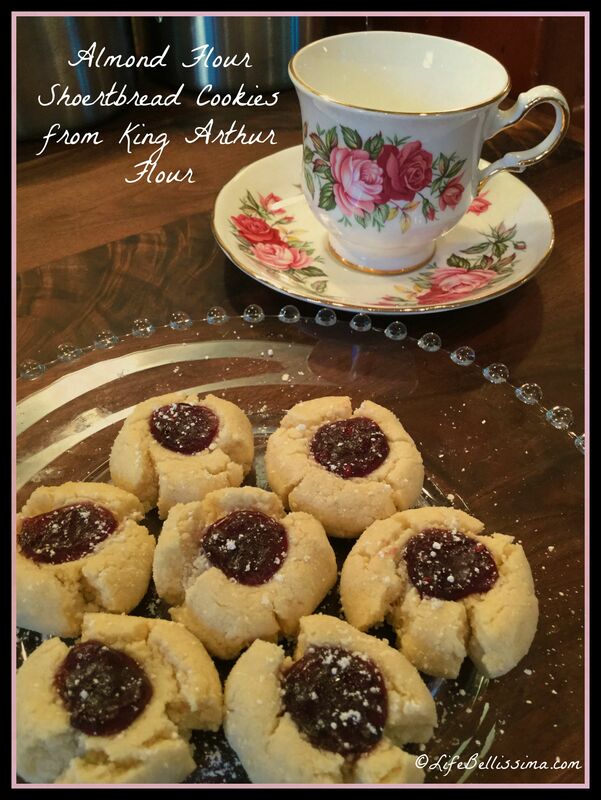 Last week I was in need of a cookie recipe for a benefit concert we were attending. Several ladies, including myself, had signed up to bring cookies to serve during intermission, and because the fundraiser was near and dear to my heart, I wanted to try out something new. 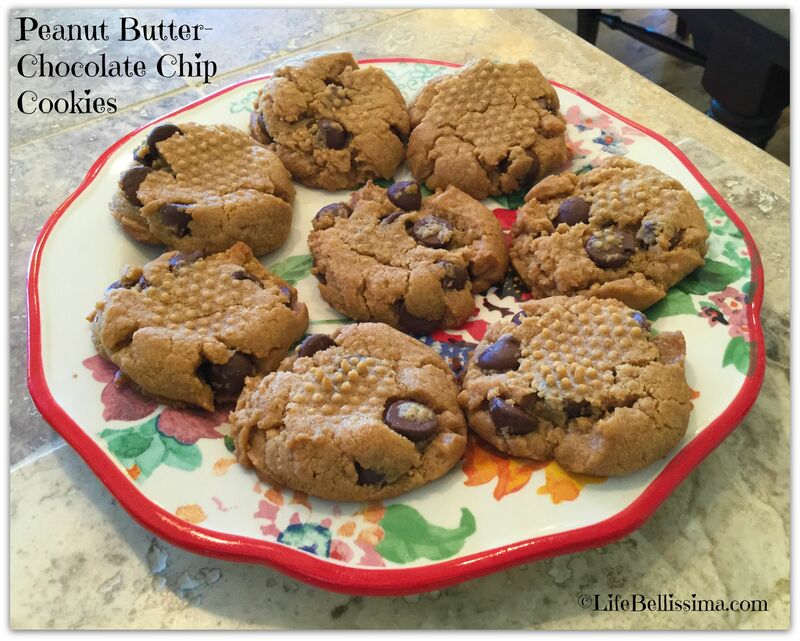 I hadn’t made peanut butter cookies for a very long time, so with the addition of chocolate (Hmmm … there seems to be a running theme of chocolate and peanut butter on this blog 😉), I spent Friday afternoon happily baking in the kitchen. I was quite pleased with the results: the cookies are soft on the inside with enough crispness around the edges to hold everything together. I also enjoyed the flavor combinations of peanut butter, chocolate, honey and molasses. I hope you will enjoy them, too! 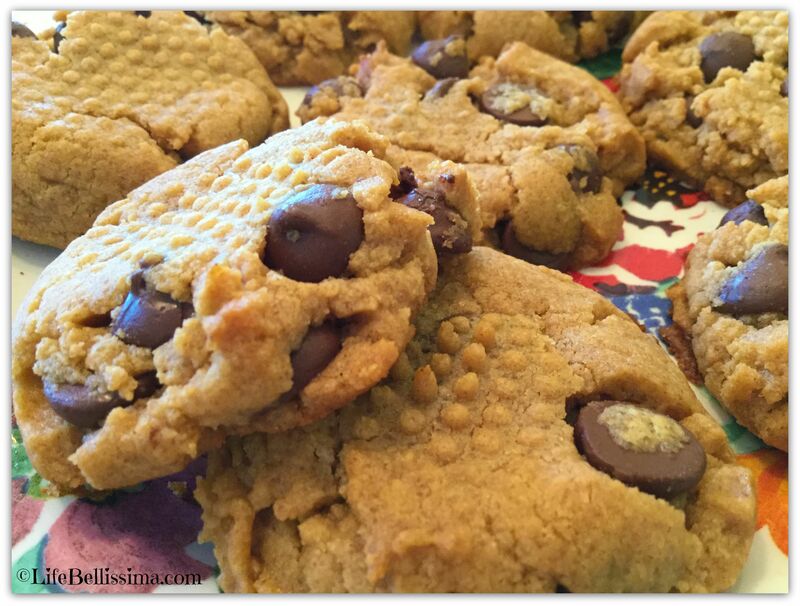 – With a stand mixer or hand mixer, combine sugar, molasses and honey. -Add in peanut butter and egg — mix until smooth. -Add coconut oil and palm fruit oil — mix until smooth. -Gradually blend in flour, baking powder, baking soda and salt until well incorporated. 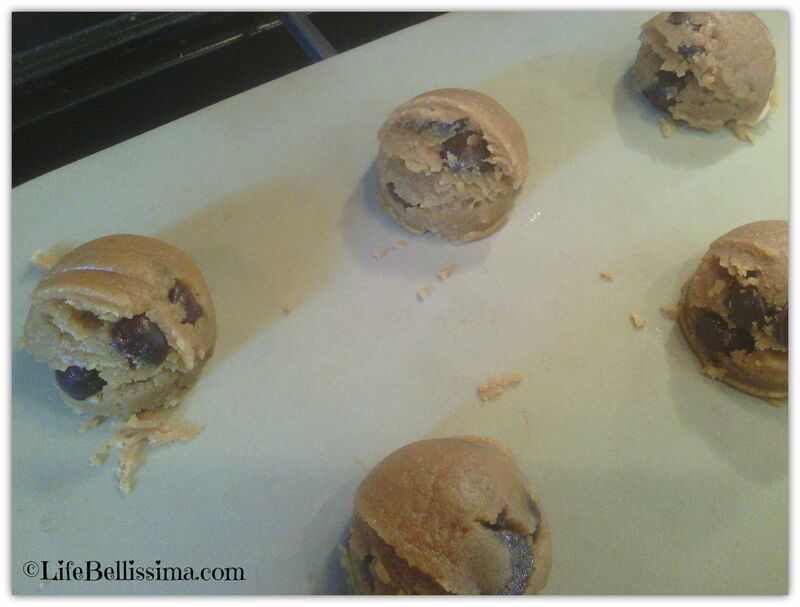 -Fold in chocolate chips by hand. Bake at 375° for approximately 11-12 minutes. Cooking times will vary — our oven seems to bake items a little quicker. The cookies should be a light golden brown on top. 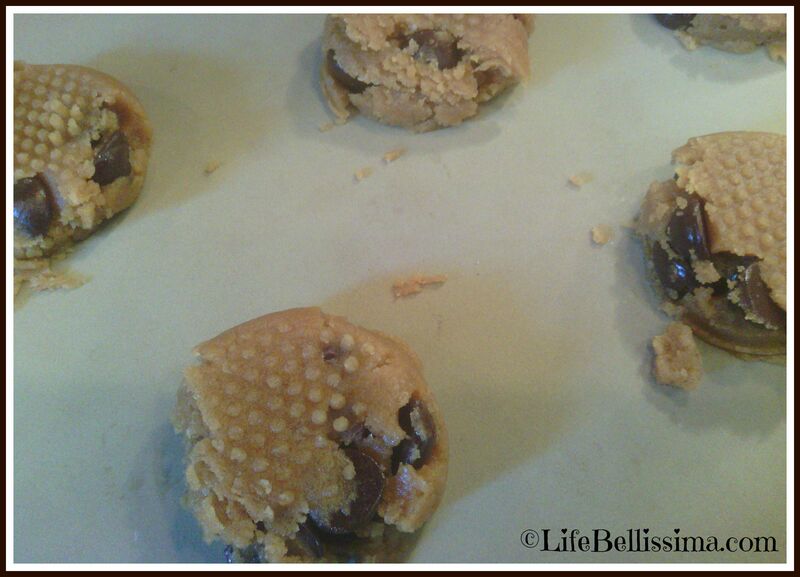 Remove and let cool five minutes before transferring to a cookie plate. 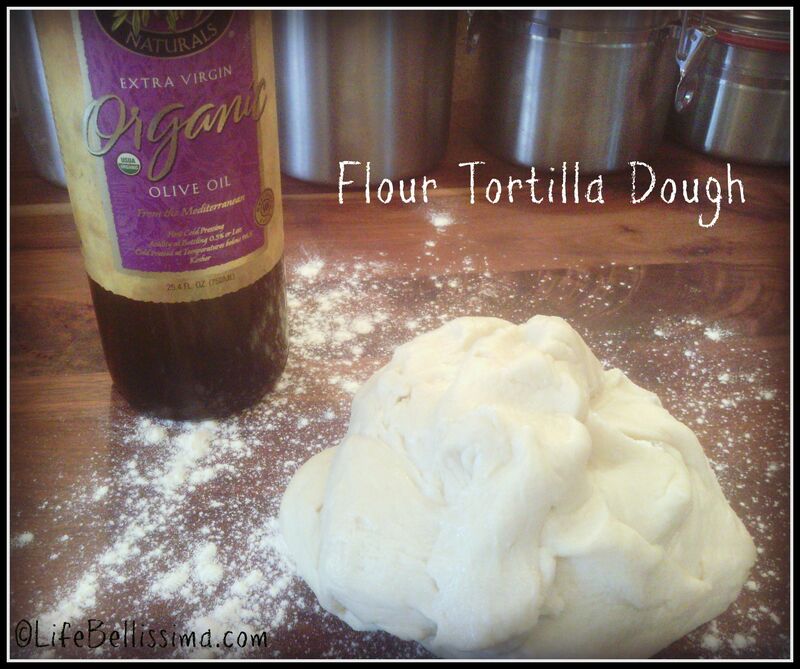 About a year ago, a friend and I were chatting about our love for Mexican food, and I happened to bring up that I had been looking for a recipe for homemade flour tortillas. Within minutes, she jotted down this recipe and assured me that these tortillas would be wonderfully delicious. I was so excited to make them and was not disappointed! 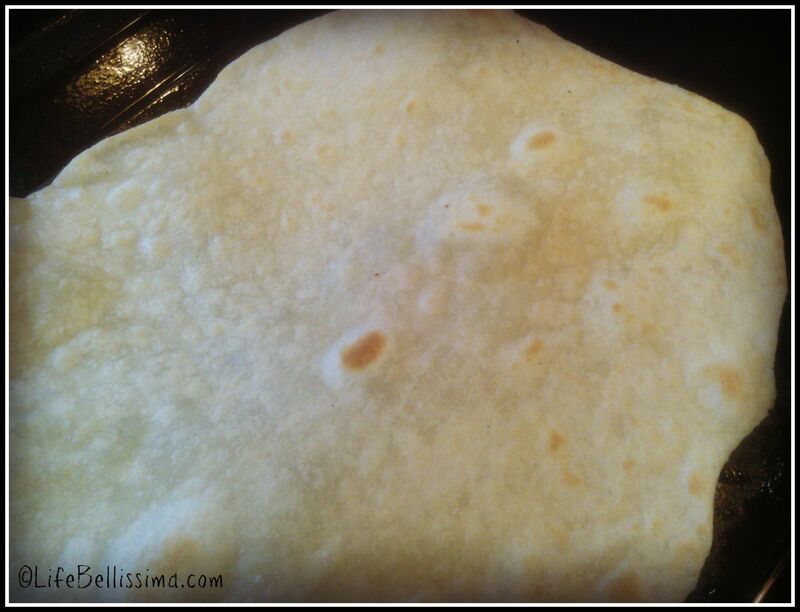 These are honestly the best flour tortillas I have ever tasted and are so incredibly easy to make! In a stand mixer or by hand, knead water, oil, salt and flour for 2-3 minutes. I prefer to use my stand mixer with the dough hook on a low setting. For best results, let the dough rest for 10-15 minutes after kneading. 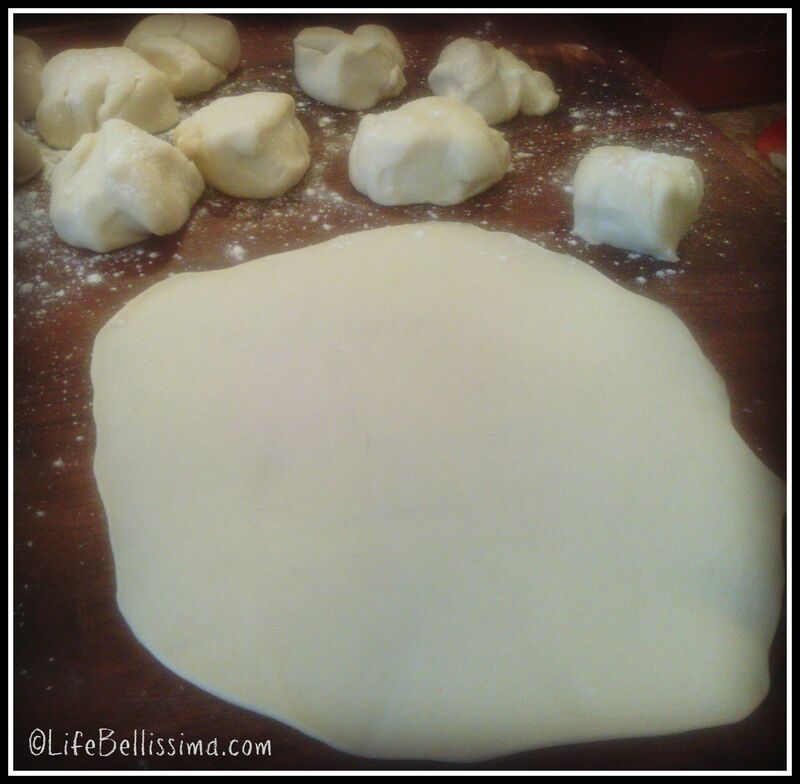 Divide dough into eight pieces and roll out thinly. Heat griddle over medium-high heat and coat with a small amount of olive oil. Add additional oil if tortillas do not turn easily. Cook until dough begins to turn light brown when turned. These tortillas are perfect for making burritos, enchiladas, soft tacos and quesadillas or served warm with soup or chili. I have also served them with butter, sugar and cinnamon for a delicious snack or after-dinner treat. I recently signed up with Booklook Bloggers to read and review new publications — it has been such a great experience! From childhood, Ruth has always been a favorite book of mine from the Bible. Zonderkidz has beautifully captured the essence of Ruth’s story in an easy-to-read format. Simple sentences and colorful illustrations bring this story of love and redemption alive to developing readers. The book does a good job of expressing the emotions of the main characters, Ruth, Naomi and Boaz. Younger readers will enjoy having the book read to them, while emerging readers can help read along. I feel the story was written with enough details to keep a child interested, without being too short or too long. David Miles’ illustrations are vibrant and rich in color, which adds greatly to the book. The characters faces are very expressive which helps the child get a good feel for their emotions. The details in the landscaping will help the child connect with the book’s settings from Moab to Israel. At the end of the book, I was pleased to find additional information that gives a brief history of the lineage of Jesus. In addition, the last page includes two short verses from the book of Ruth and recounts the basic history of both Ruth and Naomi. I would highly recommend this book for your child’s library. School is in full swing, and this year the girls and I thought it would be fun to pick eight countries and spend one month learning about each of them. The girls chose Australia for the month of September, and from kangaroos to didgeridoos, we’re having so much fun learning about this beautiful country! I most definitely wanted to incorporate food into our studies, so I began searching Pinterest for traditional Australian recipes. A dessert recipe (no surprise there!) 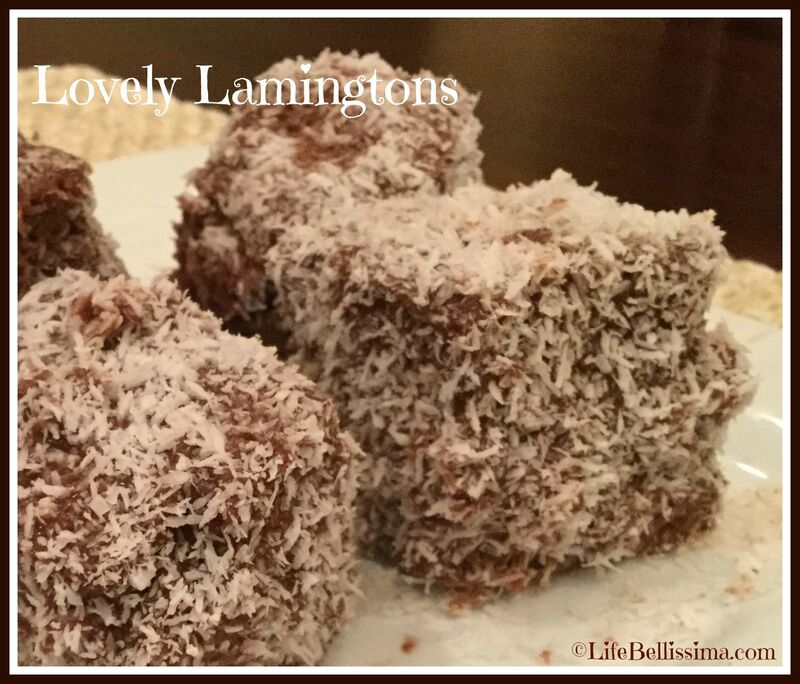 for lamingtons quickly caught my eye! This scrumptious-looking dessert includes jam-filled cake squares that are dipped into chocolate, then covered in shredded coconut. Hook, line and sinker! 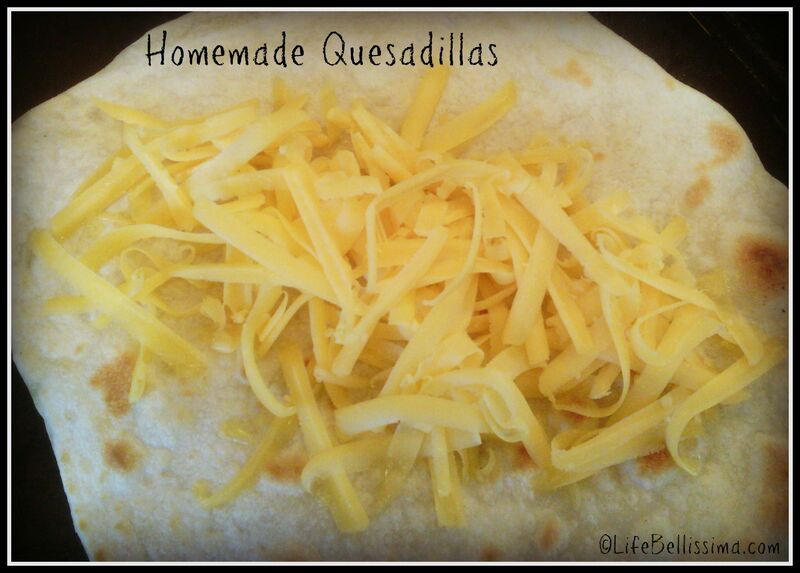 The recipe sounded amazing, and the girls and I couldn’t wait to make them! I found this great recipe from Oh Sweet Day! The only substitution I made was grapeseed oil in place of the canola oil, and I used organic ingredients. The recipe was so simple to follow, the cake was deliciously moist and what a fabulous combination of flavors! 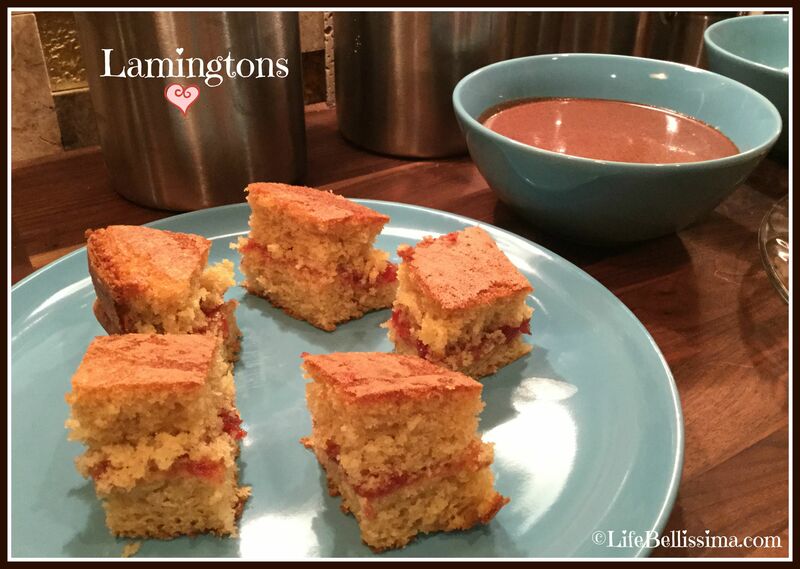 Why, oh why, have I not heard of lamingtons before? Where have they been all my life? Alas, they have been far, far away in Australia, but I’m so delighted to have found them! This recipe is a keeper, and we will definitely be making them again soon! I was hoping to get this posted yesterday in honor of Grandparent’s Day. However, the girls and I came down with terrible colds, and I spent most of the weekend curled up on the couch with boxes of Kleenex by my side. But in my opinion, grandparents should be celebrated every day, so I will most definitely proceed with my post. 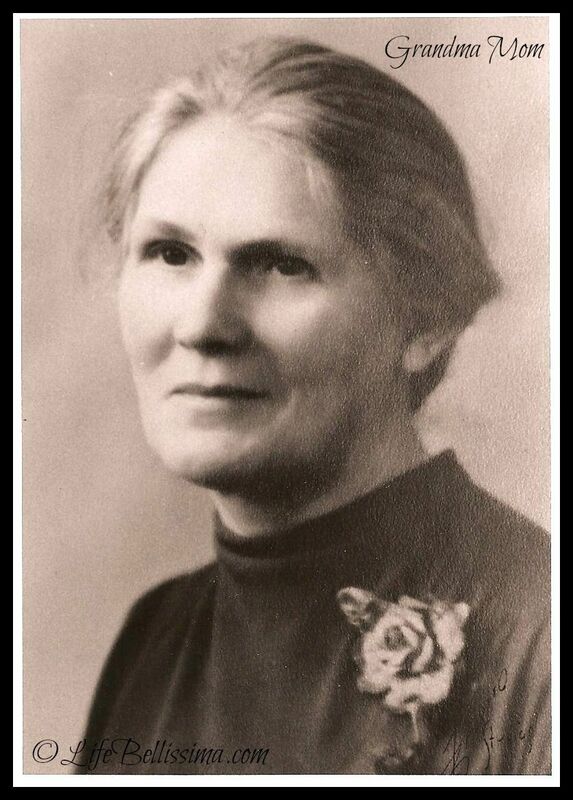 I never had the opportunity to meet my maternal grandparents. My grandfather passed away before my parents were married, and my grandmother passed on before I was born. My sisters got to know our grandmother very well and lovingly called her Grandma Mom. Grandma Mom’s beautiful memory has been kept alive by stories my mom and sisters have shared throughout the years. It was a joy to name our youngest daughter Geneva after Grandma Mom — whose full name was Mary Geneva. I was very close to my paternal grandparents as they lived only a few miles from our home in Southern California. Sharing about my grandparents opens up such sweet, beautiful memories, and it’s difficult to express how much they mean to me in only a few short paragraphs. There was always a sense of excitement turning the corner that led to their warm and inviting home, and long before you reached their front door, delicious aromas came wafting through the air from Grandma’s soft blue kitchen. Grandma’s favorite chair was always situated with a direct view of the front door, and she and my Grandpa would always be there to welcome us warmly. Moments after getting inside, my Grandma would almost immediately ask if anyone was hungry. She genuinely loved to cook for her family and friends, and if you weren’t hungry before, one whiff in the direction of the kitchen was certainly enough to make you hungry! Breakfasts, lunches and dinners were served in Grandpa and Grandma’s cozy kitchen nook. In addition, there was a small blue table and chairs when the nook became full. 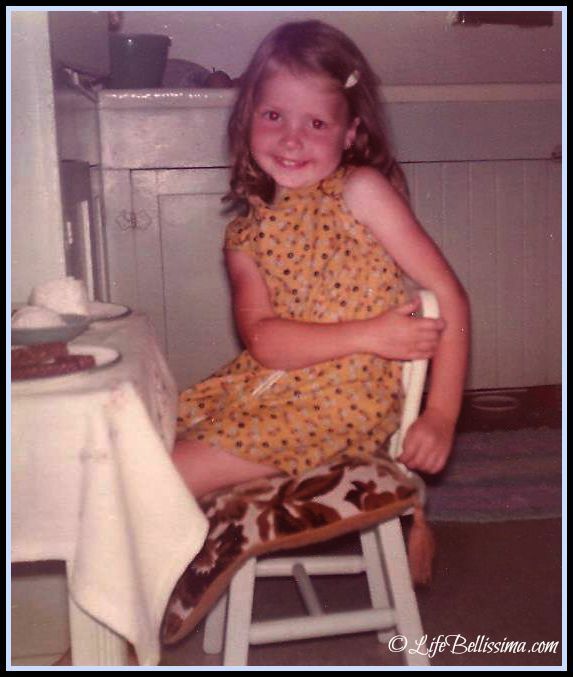 Desserts were always delightful, and I believe this picture shows me with chocolates, ice-cream and angel food cake! Grandma’s angel food cake was simply amazing — so soft and covered in her seven-minute icing. As much as I’ve tried, I still can not make an angel food cake that tastes as wonderful as my Grandma’s. After dessert, we often gathered in the front room to play games — aggravation, backgammon and checkers were family favorites, and my Grandpa was the checker champion. He was also an exceptionally talented musician, playing both the piano and violin by ear. He was my first piano teacher, and I fondly remember playing our first song together, America the Beautiful. 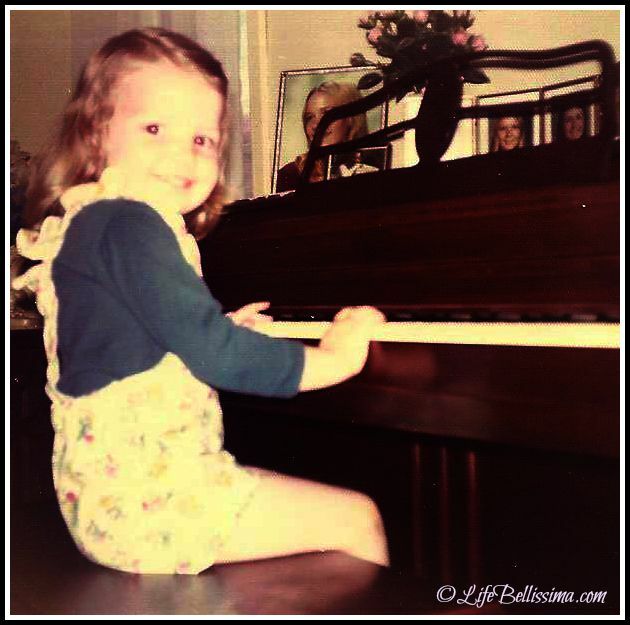 This very piano is the one we have in our home now, and it brings me such joy to see my daughters learning to play it! 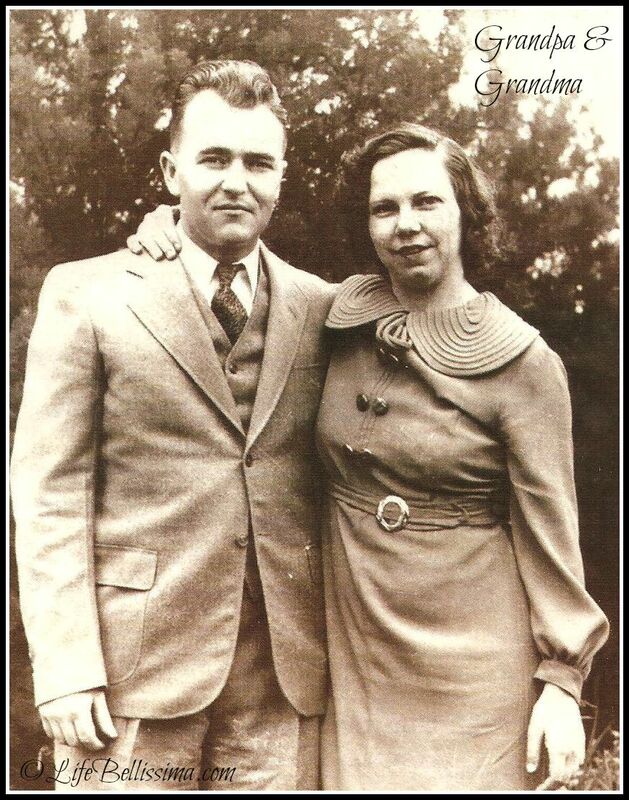 I treasure these wonderful memories of my grandparents and will always keep them close to my heart. I love trying out new things in the kitchen – ingredients, recipes, a cool new cooking gadget! 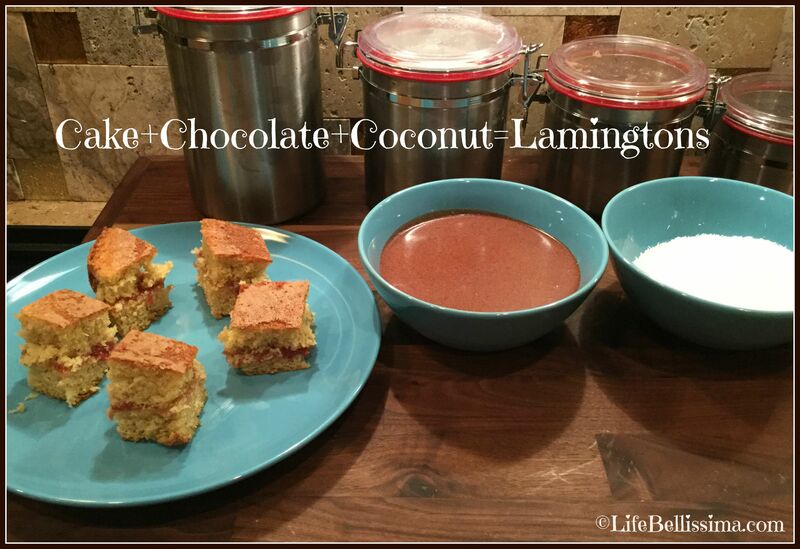 Most recently, I have been wanting to try baking with almond and coconut flours. My niece, Britta, is my go-to girl when it comes to new flours, and she kindly sent me this almond flour recipe from King Arthur Flour to try out. This week, I am most definitely feeling a change in our morning weather — cooler, crisper and [gasp!] even the odd occurrence of frost one day! Even the chickens aren’t too sure about these cooler mornings. I’m grateful that the days have still been warming up, but the cool mornings are definitely starting to inspire autumn baking, and yesterday, I decided this would be the perfect recipe to try! They’re much smaller than the typical cookies I bake — so to me, they looked as “cute as a button” — especially with the tiny dab of jam in the middle! They would be perfect with tea, hot chocolate or on a picnic with the girls! Aviah and I were the first to try them, and they were lovely! I loved the flavor and delicate texture of the almond flour; this is surely a recipe I would make again! Only next time, I will double the batch. 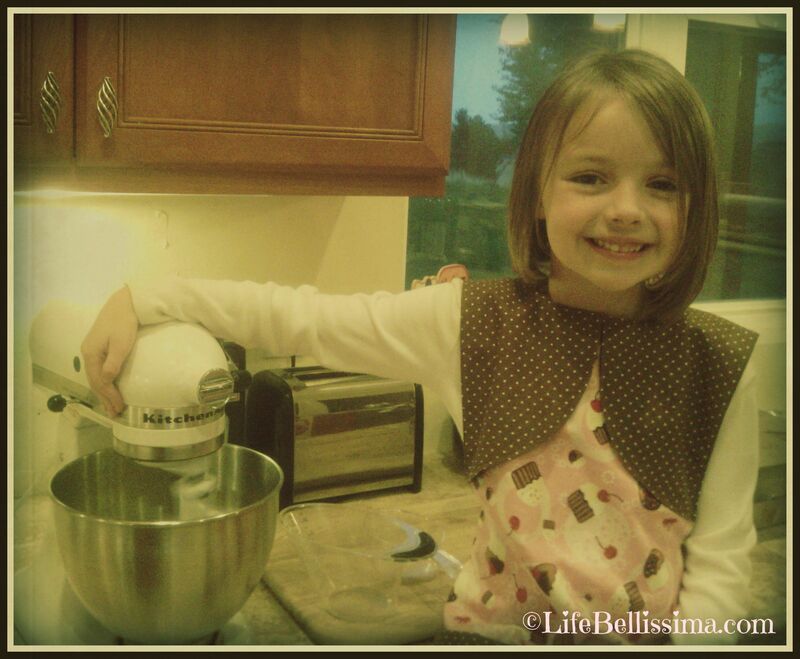 Fifteen “cute as a button” cookies go awfully fast in this family! Last week, we took a trip up north to one of our favorite mountain destinations. 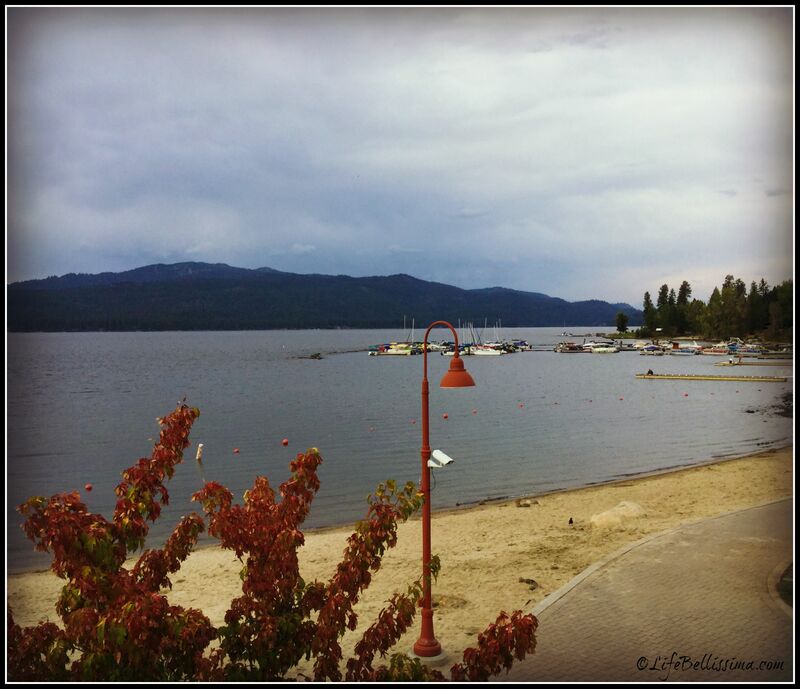 McCall is a beautiful resort town that surrounds the sparkling blue waters of Payette Lake. 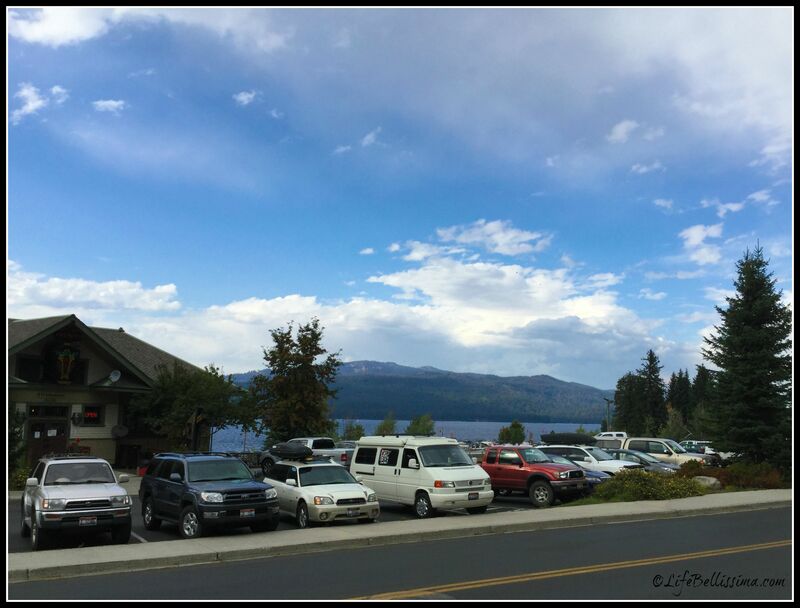 From open farmland to majestic evergreens, the drive alone is picturesque and serene. We love visiting the mountains — there’s something about the crisp mountain air, breathtaking views and peacefulness that seems to make you breathe in a little deeper and fully take in your surroundings. 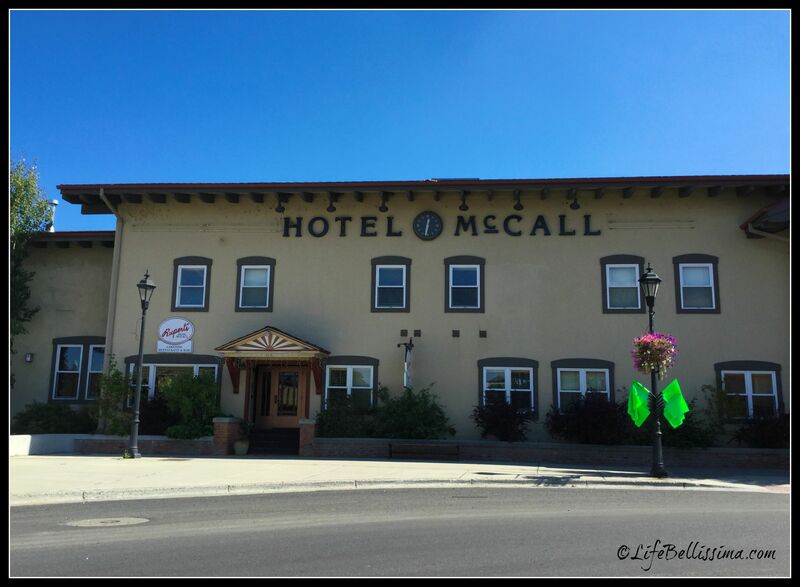 The town of McCall is dotted with charming shops, restaurants/cafes, hotels, and being a hub for numerous sports, there are a variety of sport shops and rentals. 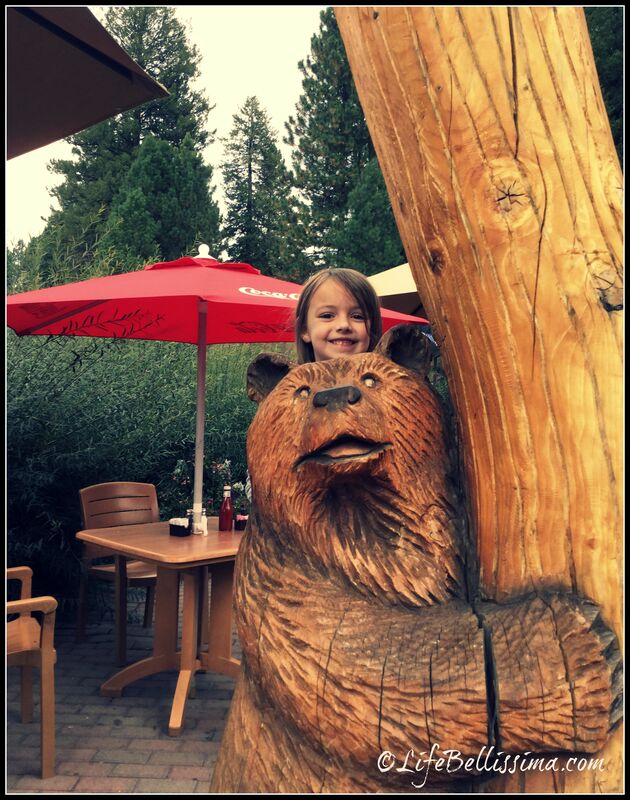 It’s our family tradition to first stop for a late breakfast at McCall’s Pancake House. The first time we ate there, we ordered several pancakes not realizing that each pancake is the size of an entire dinner plate! Now we know how to order accordingly. The restaurant is attached to the Christmas House which is open year round. 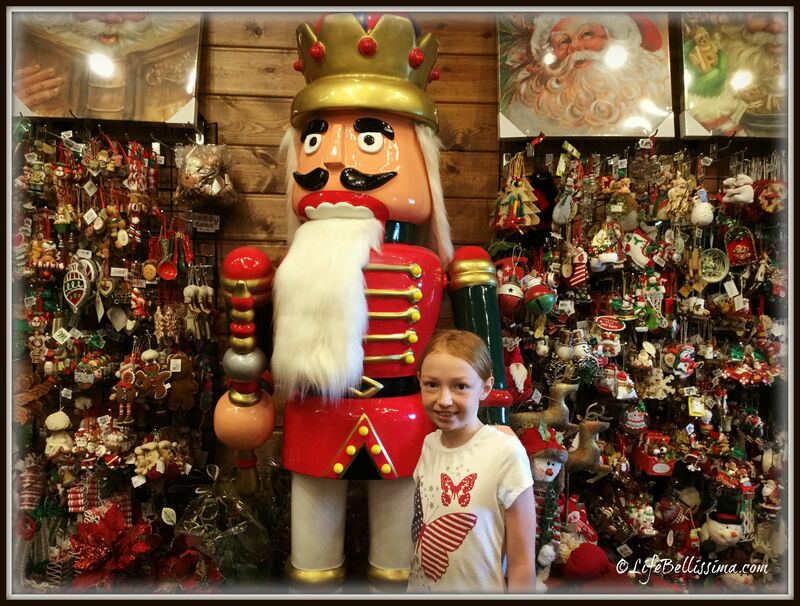 (should you decide to do a little impromptu Christmas shopping in the midst of summer) The girls and I could easily spend an hour (or two!) 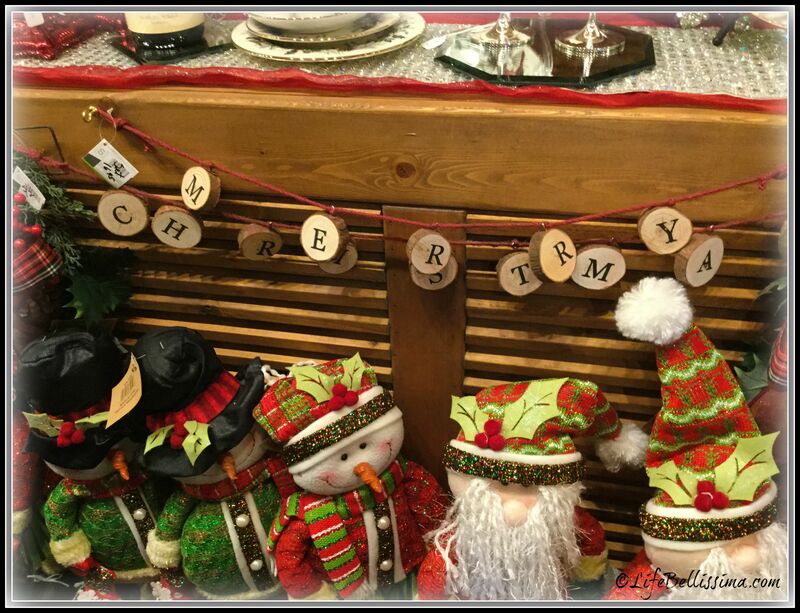 in that shop — there are literally hundreds of Christmas ornaments, a huge collection of nutcrackers, Christmas throws, pillows, glassware and artwork — in addition to gifts and décor for the current season. 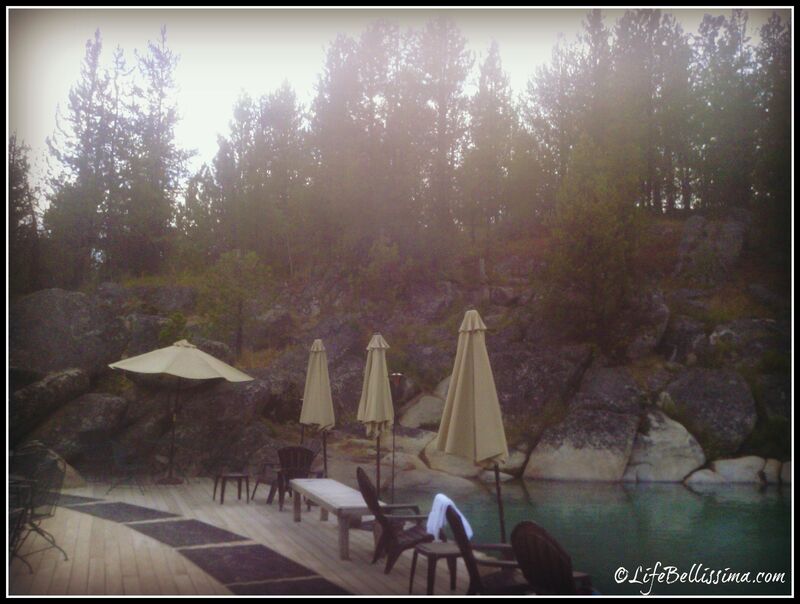 After breakfast, we headed into the neighboring town of Donnelly to visit our favorite hot springs. Five separate pools gradually become cooler as you work your way from the top to the bottom. When I say cooler, the water is never cooler than lukewarm bath water. The views are incredible! We often see deer wandering through nearby trees or chipmunks scurrying along the decks and rocks. The warm water always feels so relaxing, refreshing and rejuvenating. I’m pretty sure that every time we visit, I dreamily ask my husband if he would like to move there … or maybe a vacation home someday? 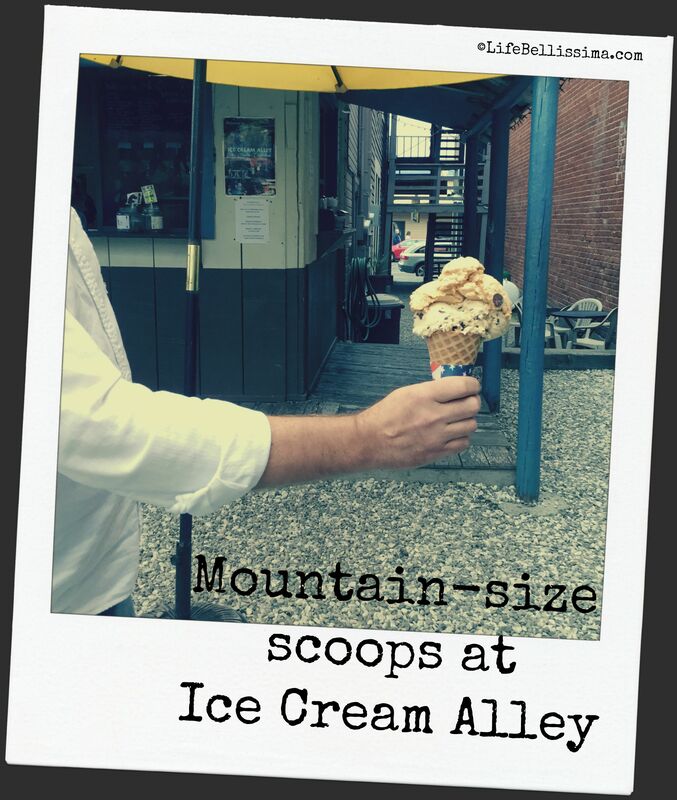 …then immediately headed to our favorite spot for ice-cream! 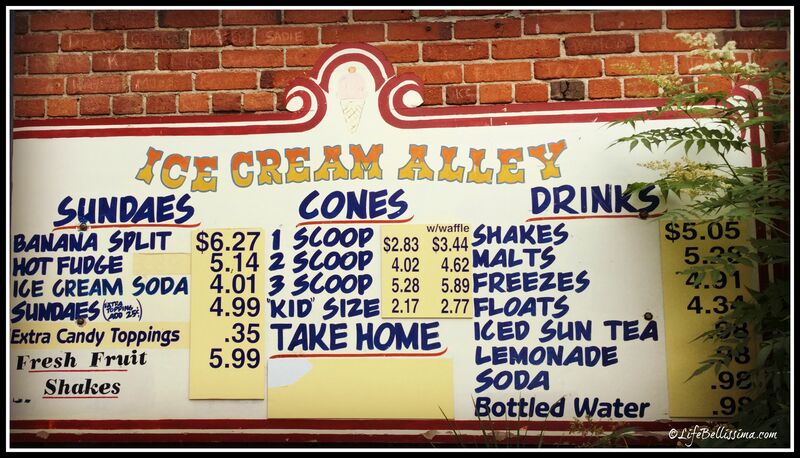 Ice Cream Alley is exactly what it’s name describes — a small (but fabulous) ice-cream stand situated in a cozy alley. 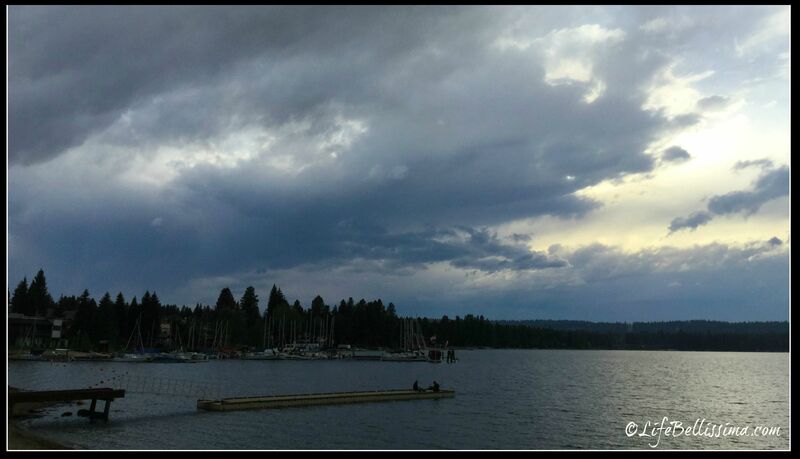 There is a small patio to sit and relax, but we typically walk down to the lake and eat our ice cream along the beach. 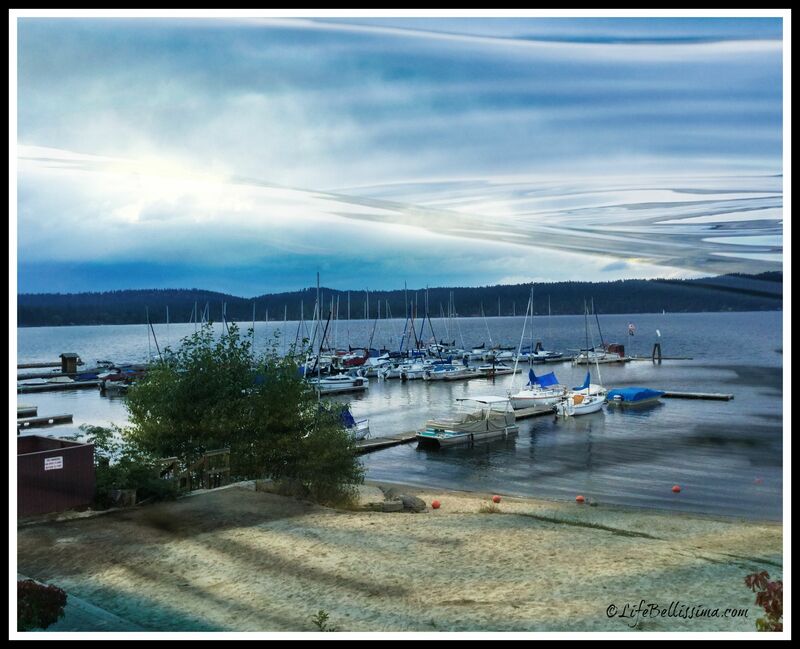 It’s an ideal spot for watching sailboats glide by and taking in the sunset. I have been wanting to share this new recipe with you for over a week now! However, I lost the notes for my recipe on two separate occasions! Jonathan was able to find my frosting recipe and was so sweet to get me a new kitchen notebook so I wouldn’t keep writing my notes on tiny pieces of scrap paper — so thankful for such a sweet husband! I have always wanted to try baking with olive oil, and I was so pleased with the results! 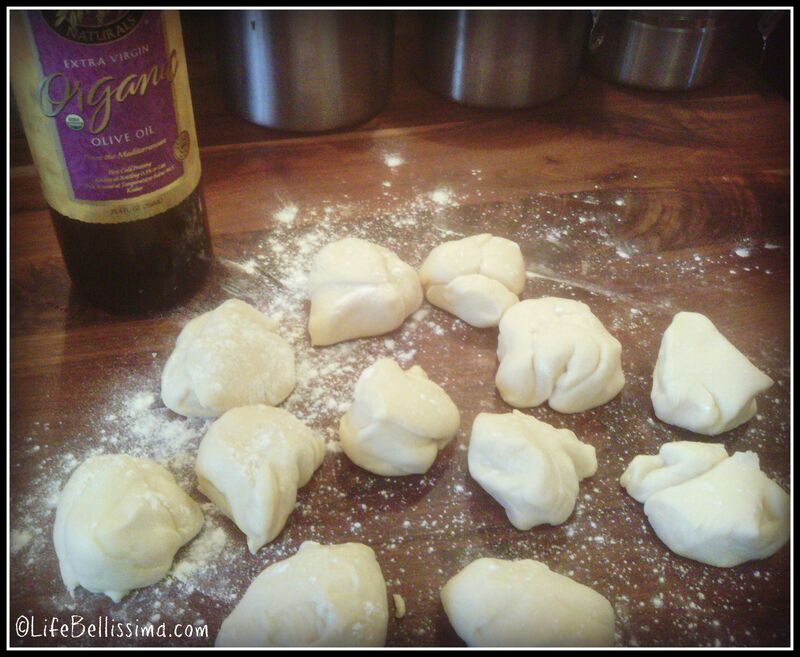 In stand mixer or with a hand mixer, gently blend butter and olive oil together. Gradually add sugar, vanilla and eggs – mix until smooth. Gradually incorporate flour, cocoa powder, baking soda, baking powder and salt until well blended. Slowly add chocolate almond milk and mix until batter is smooth and silky. 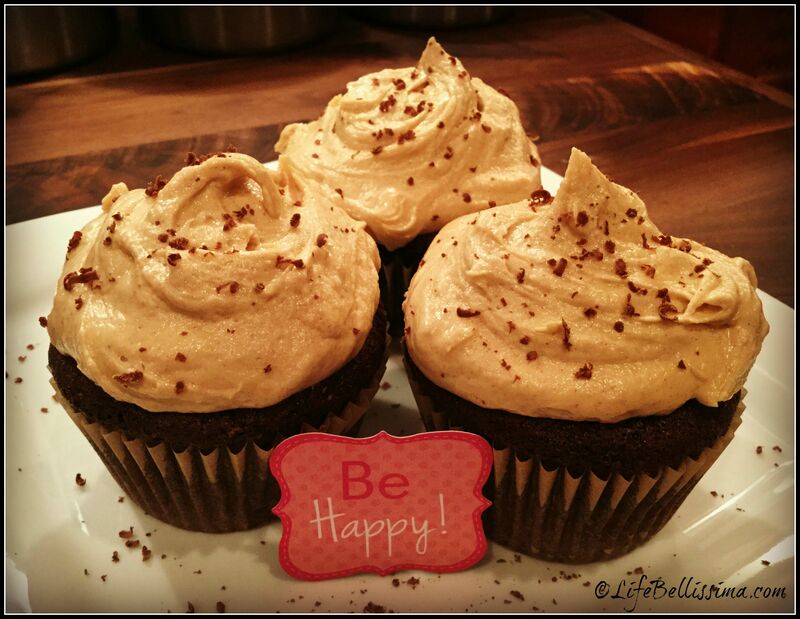 In a cupcake pan, fill cupcake liners 2/3 full and bake for approximately 17-20 minutes or until toothpick comes out clean from center of cupcakes. In stand mixer or with hand mixer, cream butter and palm fruit oil together. Gradually incorporate the powdered sugar, vanilla and milk until soft and smooth. 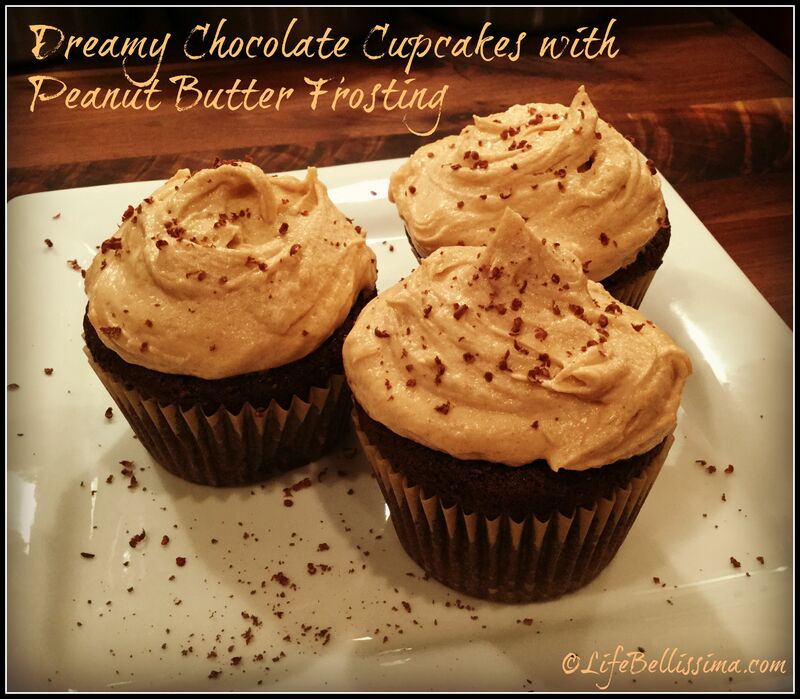 Finally add peanut butter and mix until light and creamy. When cupcakes have cooled, frost and, if desired, top with grated chocolate.